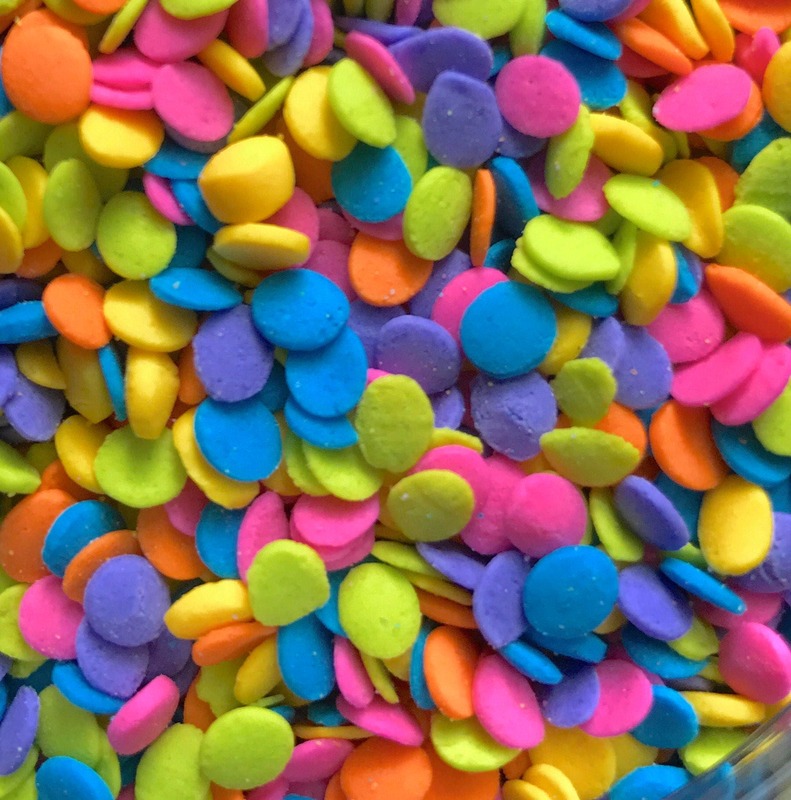 80's NEON SPRINKLES are tiny, colored polka dots in neon yellow, lime, purple, pink, orange & turquoise. They're about 1/8" wide. I use these as decor on bath bombs, soaps & the tops of bubbly bath bars for that adorable final touch! 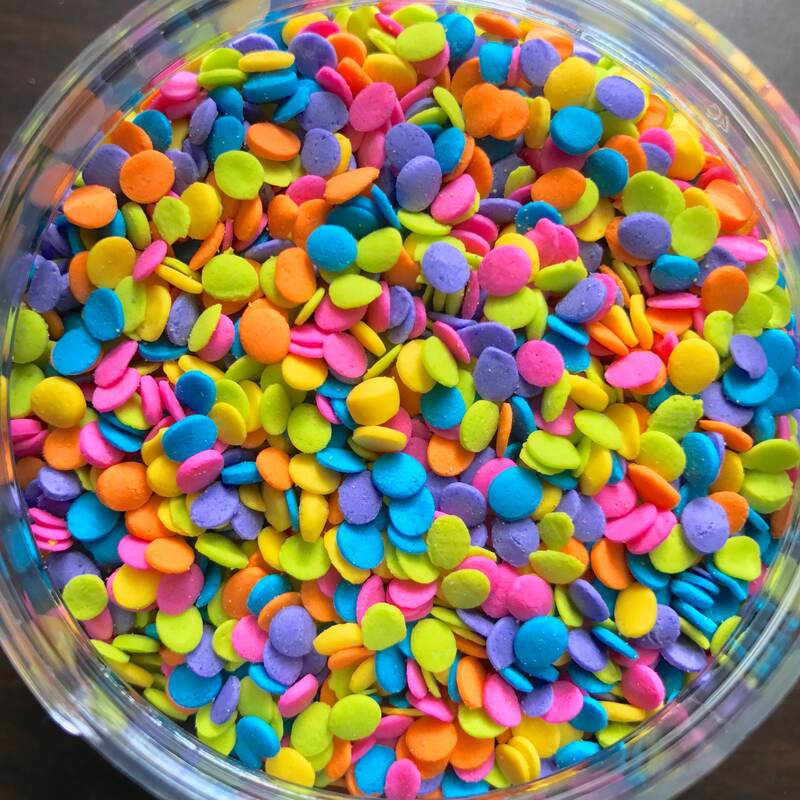 They are food grade cake sprinkles. Ingredient list: sugar, cornstarch, rice flour, palm oil, gum acacia, xanthan gum, confectioners glaze, natural & artificial flavors, yellow 6, yellow 5, red 3, blue 1, potassium sorbate, mono and diglycerides, polysorbate 60. *packaged in a facility that processes products containing peanuts, tree nuts, soybeans, milk, eggs, fish, crustaceans, shellfish, and wheat containing ingredients. These are great!! Just perfect for my tarts! Nice colors. Item as described. Seriously how cute are these sprinkles!! !